The 18' lounge has panoramic views of the countryside through large glass doors, With comfortable leather sofas and a flat-screen TV and DVD player, it is perfect for relaxing. There are 3 bedrooms, one king-size and the other 2 can be either twin bed rooms or 6' king beds. All have Vi-spring beds and Egyptian cotton linen with feather duvets and pillows. The large bathroom has bath, double shower enclosure, basin and toilet. There is an additional toilet and basin in the property. Tim & Helen live on site and love the peaceful tranquillity that the area provides. As a NHBC registered house builder, Tim thoroughly enjoyed re-building the Txoko cottage! We have a well-behaved Cocker Spaniel, a cat and an assortment of chickens! Close to beach, New Forest, historical cities and beautiful Hampshire villages, this area has it all! Absolutely loved our time at the cottage. Beautiful home and very comfortable. We were on a trip back from the USA to see local family. Great location, not far from Romsey. Clean, comfortable and lovely views. Thank you Helen for being a fantastic host. The property is big enough for 6 people and reasonably comfortable but as there is only one bathroom we found it suitable for just the two of us. Everything seems to be very well constructed and the enclosed garden area behind the cottage is an excellent amenity given the right weather. The possibility of use of the swimming pool is another asset. The spacious kitchen with its large table is a lovely place to eat with the family and the underfloor heating very comfortable. We'd have liked some cushions to make the furniture more comfortable in the sitting area and certainly some hanging space in the bedrooms would be a necessity for a family. For just the two of us the cupboard in the sitting room sufficed. Several of the light bulbs were not working and those in the bathroom are particularly needed. We had asked for twin beds and had expected the zip-linked bed in one of the larger rooms to be available but slept in the smaller room. As the days were shorter the light was not a problem but there is no way to cover the roof lights in Summer if that is an important factor, as it would be for us. More pillows would be needed for 6 people. There is a big building project beside the cottage in progress at the moment so we should not like to be there when work is going on but it was fine the time we were there as the owners were away and the area is off the beaten track so extremely peaceful. However, we could hear clearly, activity in the adjoining cottage, even the little girl spelling out the name of the cat. I am sure it would be perfect for many families. It was clean, sweet smelling and tidy although there were many flies that seemed immune to fly spray. Lovely spacious place ideal for a base for the New Forest, perfect for the dogs with some great local pubs. We loved having you to stay! On arrival the cottage was clean and the modern bathroom was spotless. We were worried when we realised there was no wardrobes in the bedrooms but dont be as o always over pack and everything fitted perfectly into the draws. The kitchen it kitted out with everything you could need too. The grounds are lovely and the view each morning was stunning. It took 20 mins to get to peppa pig world which was great. We also went to avon beach which is a must and only 45 mins away. I would highly recommend staying here. We will be back in years to come. We received a lovely warm welcome from Tim and Helen the owners. Our first family holiday as 4 generations together and we couldn't have found a better place to stay. 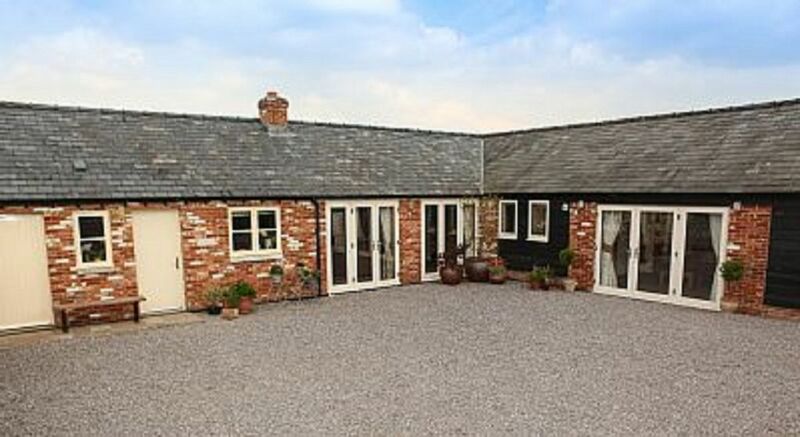 Large and very comfortable living accommodation in a very quiet rural setting. The kitchen facilities were everything you would expect and more ! The beds are very comfortable with lovely crisp clean linen. All towels are provided including large beach type towels for the swimming pool. Overall a beautiful clean, light and spacious holiday home. We will certainly endeavour to return and cannot recommend highly enough. Thanks for your lovely review. It was lovely to meet you all. Txoko Cottage is perfect for family gatherings and 4 generations together is something special - congratulations! Excellent accommodation. Very well equipped and presented. Excellent experience. We would use them again and would recommend this property to anyone else.